Having done Science subjects at school, I was never that interested in, what was then termed, Home Economics. My Mother comes from a generation who watched their own mothers cook, bake, sew, knit, grow veg, and if you were lucky, keep chickens. So, I suppose my lack of interest of all things domestic was born out of laziness. It really was a case of Mam does all that. I could always cook, having watched my Mother, but was not taught in any way. Just observing, and taking it all in, without even realising it. 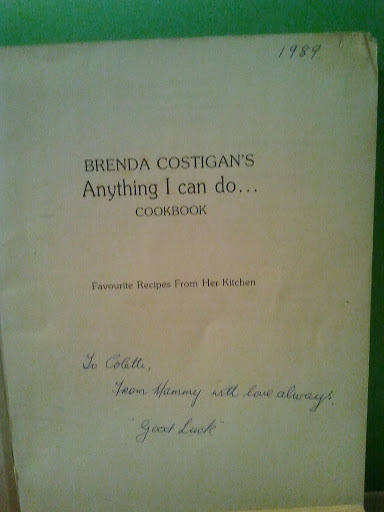 About a week before I was married, my Mother gave me the gift of a cookbook. This cookbook was to start me on a journey I am still on today. Now, I am just obsessed with cookbooks. They are all around my house. They are on the coffee table, they are on the kitchen floor, there are some in the attic. I just don’t have room for any more, but I just can’t help myself. And, after a conversation on Twitter one evening, it seems I am not alone! I have a myriad of titles, by Chefs, Home Cooks and reference books, books relating to TV series, you name it, I probably have it. But there is one book which I have identified as the root of it all. One book to which I constantly refer. 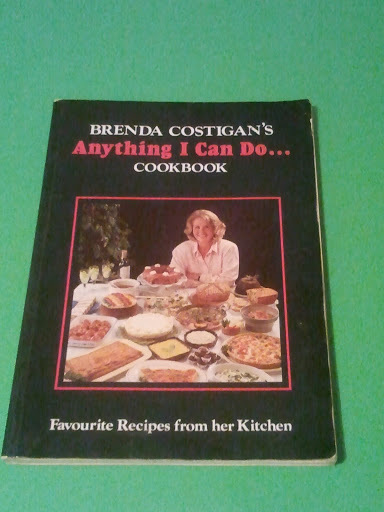 One book which, literally, taught me how to cook. There are also two ladies to thank for starting me on this journey. Previous Post Anyone for a Peanut Butter Muffin?